Anxiety is one of the most commonly suffered feelings and/or disorders among people in the United States. While some feelings of anxiety here and there are completely normal and experienced by most of us, urgent and often feelings of anxiety every day are not considered healthy and could be an indicator of an anxiety disorder. Chronic anxiety and worrying has a hugely negative toll on the quality of one’s life. It can interfere with your appetite, your relationships, your work performance, your sleep, your overall health, and the overall quality of your life. Often excessive worrying and anxiety leads to other negative behaviors in an attempt to relive one’s stress, such as over-consumption of alcohol, overeating, smoking of cigarettes, drugs, or taking it out on one’s loved family and friends. It is important to recognize whether or not you are suffering from an anxiety disorder that is affecting your life, and if so, it is best for your current and future health that you consider seeing an anxiety therapist in DFW. Anxiety is a reaction to stress, and is normal amongst all humans. However, ongoing or continuous underlying anxiety could be due to a disorder such as generalized anxiety disorder, social anxiety, or a panic disorder. Anxiety disorders are quite common amongst Americans and affect almost 40 million of the adult population. 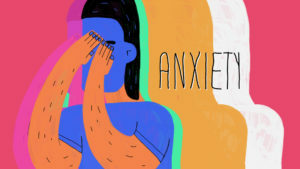 Whenever one is facing stressful events such as an exam, a speech, a financial dispute, their first day of work, a job interview, or a work deadline, etc., it is normal to feel a bit of anxiety. It can even be helpful to feel small levels of anxiety in these situations as it can help to motivate one to perform better at the time. However, if one is prone to worry excessively, about even very small things, or tends to feel a constant feeling of anxiety, it can be extremely harmful to their well-being and even surface via physical symptoms. Chronic anxiety and stress not only affect your mental health, but your physical health and your overall well-being and quality of life. Do the best thing for you and your loved ones and take a step towards helping yourself heal of your anxiety disorder. Consider seeing a DFW psychologist who understands the emotions as well as the science behind anxiety and can help you learn to manage and deal with stress and alleviate anxiety. If you have questions or would like to set up an appointment with one of our excellent counseling staff, contact us at Lifeworks Counseling Center today. You have one life to live and we believe you deserve to live that life with happiness and health and limited stress and anxiety, so please, let our caring team help you find your way there.